The Trump administration’s Department of Health and Human Services (HHS) announced that it is rescinding the previous warning the Obama administration gave to state governments that denied Medicaid funds to Planned Parenthood because it is the largest abortion industry. Meaning, states can choose to not pay Planned Parenthood using Medicaid funds. In 2016 HHS issued warnings to 24 states that were denying Medicaid payments to Planned Parenthood. Despite Trump’s reversal on Obama’s policy, federal courts are intervening. One federal court ruling in 2017 ordered the state of Louisiana to restore Medicaid funding. In Arkansas, a federal appeals court permitted the state to not fund Planned Parenthood. 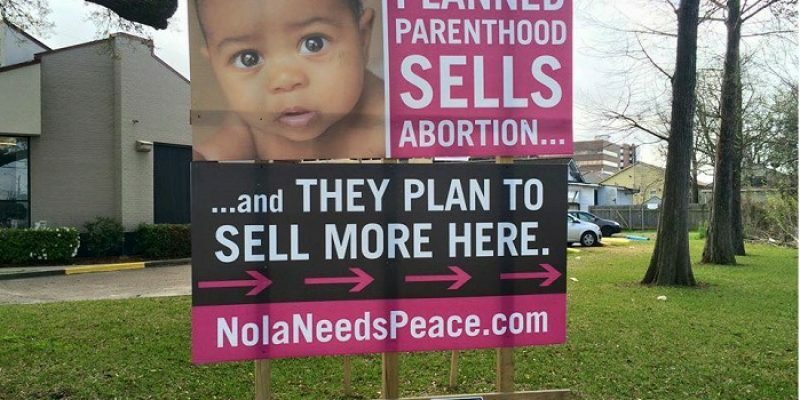 Initiatives in 24 states to end Planned Parenthood Medicaid funding arose after the Center for Medical Progress released the findings of its undercover investigation in 2015 revealing that Planned Parenthood was selling baby body parts to medical research facilities. In late 2016 the Justice Department announced it would initiate a criminal probe into Planned Parenthood’s role in the illegal sale of human body parts. Around the same time, a Congressional Select Investigative Panel on Infant Lives stated that it was referring nine criminal and regulatory charges against Planned Parenthood, abortion businesses, universities, and fetal tissue medical research companies. Planned Parenthood, the largest abortion factory in America, receives 75 percent of its more than $500 million federal funding from Medicaid. Twenty-five percent is paid by the HHS departments’ Title X Family Planning program. Trump has already allowed this funding to be withheld from Planned Parenthood. The department created a new division within its civil rights office to protect the First Amendment rights of healthcare providers, specifically religious freedom and freedom of conscience. Healthcare providers will be free to refuse performing an abortion without facing any legal consequences. Despite reporting record income, Planned Parenthood’s non-abortion services are in steep decline, clients are leaving, and dozens of facilities have closed. Meanwhile, the abortion chain does more than 320,000 abortion procedures per year, and they are under federal investigation for their role in the harvest and sale of aborted babies’ body parts for profit. We urge Congress to swiftly finish what this pro-life administration has started by passing the Conscience Protection Act and redirecting half a billion dollars in annual taxpayer funding away from Planned Parenthood. Abortion is not health care. No one should ever be forced to participate in the destruction of innocent unborn children, and Planned Parenthood does not need or deserve taxpayer dollars. Its uncertain if Trumps reversal of previous policies will enable Louisiana to stop providing Medicaid funds to Planned Parenthood. However, if Congress reduces or eliminates Medicaid funding to Planned Parenthood the judicial mandates will become a moot point.